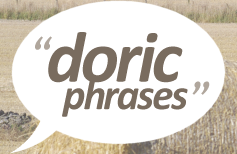 This Doric bag is the ideal gift for the Scottish shopper who prefers to be buying gin! Oh Mechty! 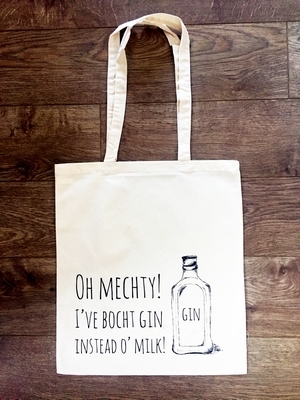 I've bocht gin instead o' milk! This tote bag is made by Melissa Burnett from Rothienorman and is available from her Etsy shop for just £10.